USAID's Development Credit Authority (DCA) works with investors, local financial institutions, and development organizations to design and deliver investment alternatives that unlock financing for U.S. Government priorities. USAID guarantees encourage private lenders to extend financing to underserved borrowers in new sectors and regions. 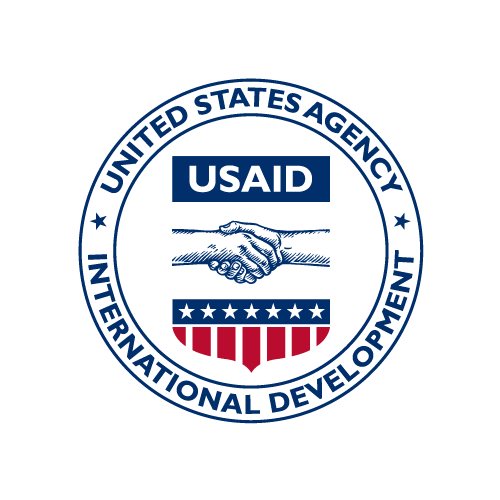 This dataset is the complete list of all private loans made under USAID's DCA since it was established in 1999. To protect the personal information of borrowers and bank partners, all strategic and personal identifiable information was removed. These surveys of Macedonian public opinion were conducted on behalf of the International Republican Institute by the Brima market research firm. The surveys includes questions concerning general attitudes toward the government, the internal political situation in Macedonia (2015-2016), the implementation of the Przino Agreement and so forth. Data was collected over four time periods (June 6-15, 2015/ Sept 29-October 5, 2015 / January 16-27, 2016 / April 19-25, 2016) using in-person, face-to-face methodology by trained professional interviewers. The sample was prepared using the State Statistical Office data (2002 census results) for the population aged 18 and older, considering the structure of the population according to age, gender, education, type of housing, national affiliation and region and updated according to estimates and primary information, collected by Brima. Stratification was based on three stages: first, the number of respondents for each of the regions was specified in proportion to the size of the population aged 18 and older that live in it. Second, the sampling plan consisted of 164 sampling points located according to urban/rural split, municipality size and nationality diffusion. Third, the selection of households was based on random route method, whereby in urban areas, every third household on the left-hand side of the street was selected. In rural areas, the wave-wise approach is applied and the selected household is every fourth inhabited house/dwelling on both sides of the interviewer’s route/track, counting from the first house on the left. This poll was conducted with support from the United States Agency for International Development. The DHS Program STATcompiler allows users to make custom tables based on hundreds of demographic and health indicators across more than 70 countries. This dataset is used to produce the \"U.S. Overseas Loans and Grants\" publication, known as the \"Greenbook\". The annual report to Congress on U.S foreign assistance flows is required by the Foreign Assistance Act, Section 634 and is the authoritative data set of U.S. foreign assistance. The annual update of the dataset contains data of United States Government (USG) foreign assistance since 1945. Foreign assistance is categorized as either economic assistance or military assistance. Foreign assistance is reported by recipient country and organized by geographic region, without distinction between developed and developing countries. Any country which has received cumulative economic or military assistance over $500,000 since 1945 and is considered an \"Independent State\" by the U.S. Department of State merits an individual country reporting.